Sitting in the office, I was wondering if some knowledge and experience in Digital Marketing would ease your path on to becoming a Data Scientist. Is there any relation between Digital Marketing and Data Science? Should you necessarily learn Digital Marketing to become a Data Scientist? 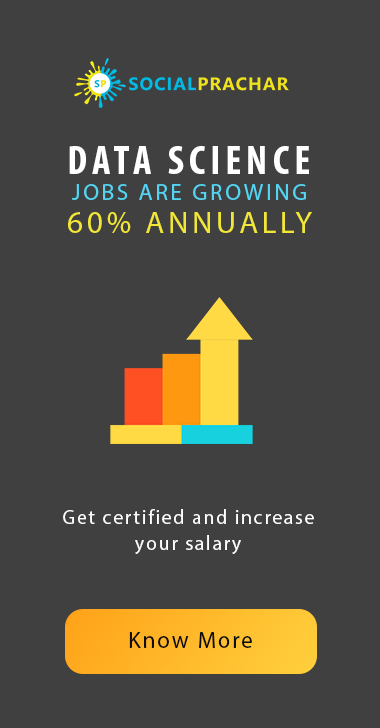 Can being proficient in Digital Marketing domain ease your way to become a data scientist in the future? Apparently, there is no direct relation between these two fields. 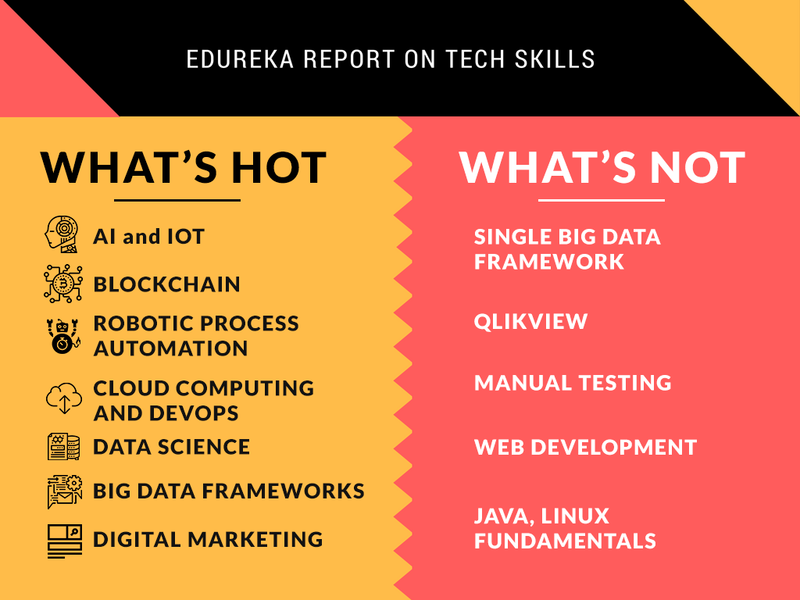 However, once we acquire knowledge in Digital marketing and make efforts to expand our skill sets, it may become a little easier to walk on the path of Data Science. Let me explain both the terms in some detail and then give you the answers. Do allow yourself to skip these ( if you already know ) and read the last section, though it would be great to read the examples explained below. Digital Marketing is a process where we use online platforms like the search engines, emails, YouTube / other video platforms, apps, websites to reach our prospective customers who would be willing to buy our products or services. And that’s the reason why any business exists – To sell there products and services and make profits. 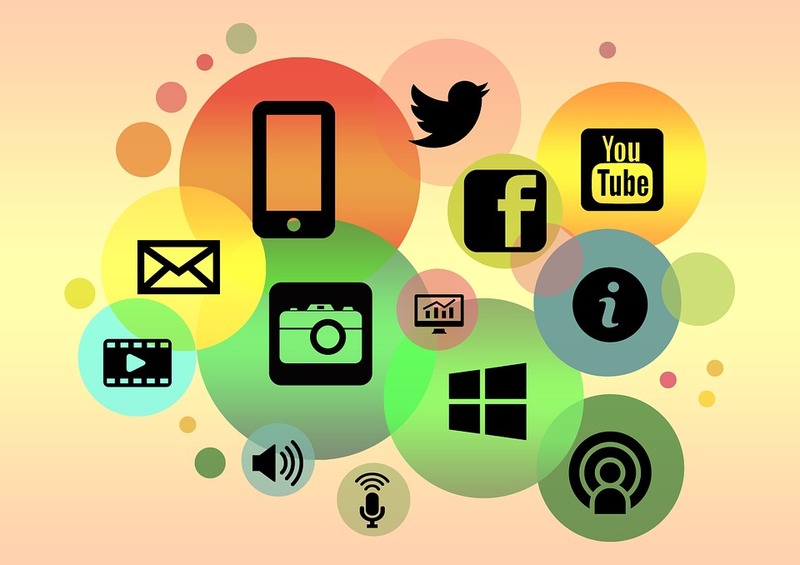 Can you identify all these icons related to Digital Marketing? A lot has been already discussed and written about digital marketing. We would skip the things to understand data science and explore the relationship between digital marketing and data science. Let’s look at some popular data science models that surround us each day. 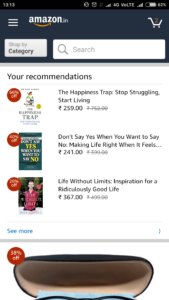 You must have seen “ Recommended For You” section on your favorite shopping site like Amazon. And there has been a number of instances when I have bought products from that section. In a nutshell, it’s a Data Science model that suggests products to you based on your purchase history, browsing history, cart, profile parameters among others. It’s a win-win situation since you get what you want and the e-commerce sites are able to increase their sales and profits. Or take the case of data science-driven Machine learning model of Google called as Rankbrain. It’s based on reinforcement algorithm; not only it provides great accurate organic search results but learns to improve on them by user’s feedbacks. 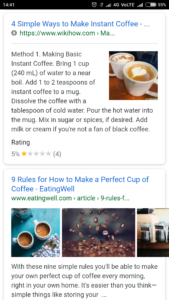 Imagine searching for ” How to make coffee” and coming across these two posts. Imagine clicking on the first post and coming across a sub-standard content and leaving the webpage in a few seconds. And then you click on the second result [ 9 Rules for how .. ] and came across a great article. Reading word by word, you end up spending a few minutes in reading the complete post. Let’s take a real-world example to understand Data Science Basics. Imagine a Football Stadium where a match is held each day. 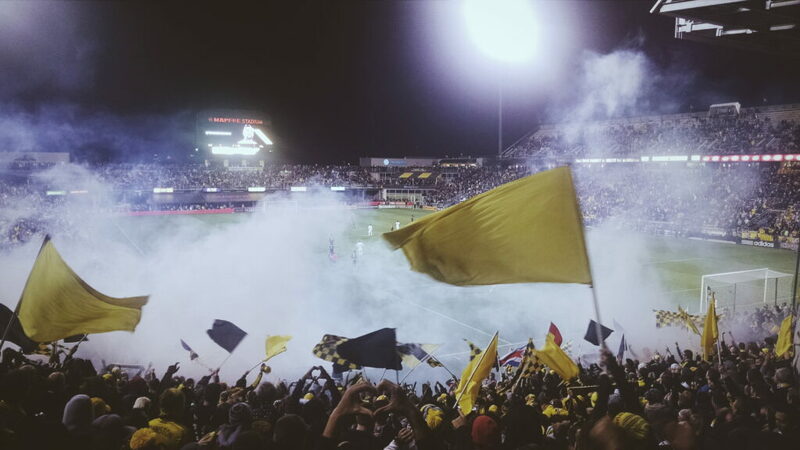 Some 30,000 people come each day to enjoy their favorite matches.You are a Data Scientist who need to make sure that there are sufficient Food and water supplies while also ensuring that your company ( who manages all these supplies ) make some great profits? Football Field And Spectators to illustrate the example. Here, we basically want to build a model that would allow us to make predictions about Food and Water Supplies so as to maximize profits and minimize wastes. How would you go about this problem? There are basically 4 steps. I always used to wonder why Big Data terms like Hadoop would just slip in while talking about data science? It’s because you are dealing with huge data – whether it’s 20,000 people in our stadium or millions of people who use banking or a billion of people using the search engine like Google. What do you do here? Look at the past data. We may not require all the parameters/fields in the data. So, we process the data and prepare it for Analysis. The next step is to select a suitable algorithm based on our requirement. Why do you need an algorithm? To model the huge amount of data that we have so that we can visualize it better and make exact conclusions. That’s where your math, statistics, and programming skills play a role. Now, we need to tune the parameters to optimize our results. Sound complicated? Yes, it is. It’s basically a process where our model should not only generate good accurate results, but it should be generalized to be applied for future predictions. It takes time and experimentation to do that. What good is a model if it’s not giving accurate results? Imagine that you deployed your data science model – it can make food and water predictions based on weather, match type, and other parameters. Can we call it good if it deviates a lot and makes inaccurate predictions regarding supplies? No. Not at all. So, it’s vital to check the model’s accuracy and make sure it’s practical. As you can make out, Data Science is a multi-disciplinary Field that is primarily concerned with extracting knowledge and insights from big data and using them to create automated models to solve real-world problems. Hoping that you understood data science basics, let’s clear the relation between digital marketing and data science. Since you already have a basic understanding of both domains, let’s look at how Digital Marketing may actually make it easy for you to pick up Data Science option in Future. It makes a lot of sense to pick up digital marketing domain knowledge before delving into the data science field. Time, patience and experimentation is the key to successful digital marketing campaigns. Any Digital Marketer would tell you that. Creating killer content for your business keywords. Or ranking on the top of search engine results. Or creating perfect ad campaigns that give a great return on Investment to the business. What does it take to do all this in digital marketing? Time, patience and a lot of trials and errors. When we work in digital marketing, we acquire these attributes automatically. 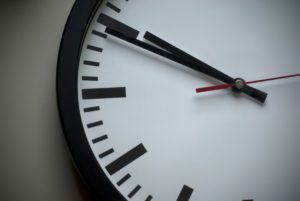 Time is the key to both marketing and data science. And as you can guess, all these attributes are required to become a good Data Scientist. Processing Data. Experimenting with algorithms to create a model. Deploying models and testing them repeatedly. All this would require all the attributes that you picked up as Digital Marketer. Once being proficient in Digital Marketing, we tend to understand how a market works in general. Also, we tend to have fairly good knowledge about consumers intent since we deal with keywords. But how can this help you out once we go to work as a Data Scientist? Since you would need to work for businesses, you become good at understanding business requirements and goals. And doing the work becomes a little easy when we have a perfect clarity about business operations and its goals. What good would this do? 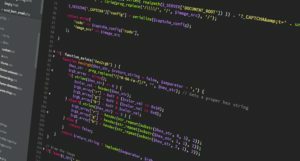 Once you develop a little understanding of coding and a solid foundation in any programming language, it would become easier to learn languages like R and Python, which are a must for a Data Scientist. Digital Marketing is all about the end results. The numbers speak everything about your campaigns. And a marketer must have the skills to analyze final results and numbers and deduce business conclusions. But how is this related to data science? Working as a digital marketer and making conclusions through analytics, you may develop a fascination with data and numbers. And once you have affinity about data, learning path becomes much easier. Do share the post if you found it relatable and useful. We would be highly thankful to you. It would have become clear to you that there is no direct relation between digital marketing and data science – however, learning and working for some time in digital marketing field would provide you a lot of indirect benefits that could allow you to take a leap in your career and be a Data Scientist – if that’s what you aspire to be. So, if you wish to be a Data Scientist, deemed as the hottest career option of 21 st century, the digital marketing can be a great first step owing to all the indirect advantages it provides in building up your skills and character. With over 1000+ students trained and a consistent 5* rating, Social Prachar is a great place to get started in Digital marketing. We offer Offline coaching exclusively in Hyderabad, India and do feel free to check our site if you would like to learn it online from the comfort of your place. Check our Data Science Online and Offline courses. It would be our delight to train you up and get the best out of you.